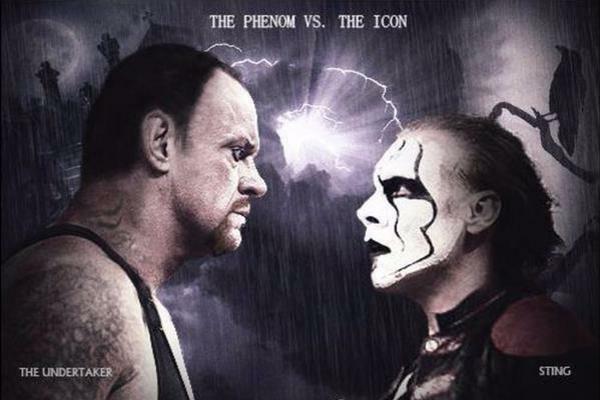 The Deadman’s career is winding down, and a lot of potential classics are going with it. In case you’ve missed any of WWE’s programming recently, this Sunday’s Survivor Series is the 25th anniversary of the debut of the Undertaker. The longest active member of the WWE roster, Taker has seen everything in the business and is generally regarded as one of the most respected professional wrestlers to have ever lived. A solid argument could be made for him being the greatest of all time. Still, 25 years is a long time in any industry, especially professional wrestling. Undertaker has been involved in some of the most physical matches in history too, and his body deserves all the relaxation retirement will bring. He has accomplished everything there is to accomplish, so nobody can begrudge the Deadman time at home. He’s married to Michelle McCool as well, so come on. Professional wrestling is full of lamentation though. One of the most enjoyable things for fans to do is to put together dream matches between individuals from different generations. The Undertaker has performed through a number of eras, but the number of matches left for him can most likely be counted on one hand. Rusev may have been completely neutered in 2015 through feuding with John Cena and being involved in the worst feud of the year with Dolph Ziggler, but the guy is still an elite talent. For a man of his size (6ft tall, 300lbs), his athleticism is off the charts. He brings a legitimate athletic toughness, and he isn’t called the Super Athlete for nothing. There was a time when if a big man came into the WWE, it was inevitable that they would cross paths with the Deadman eventually. If Rusev had made his debut in 1994 or 2004 as opposed to 2014, we would have already seen a number of Undertaker/Rusev matches, most likely ending in a Casket Match after it became clear that Rusev was afraid of caskets. Undertaker v. Evil Big Man is as tried and true a formula as the WWE has. Staying on the athletic big man trope, Undertaker vs. Samoa Joe was one of the dream matches of the 2000s that was considered generally unthinkable. Undertaker was WWE through and through, where as Samoa Joe was one of the biggest names outside of the company, sitting towards the top of the card of the number two promotion in the US, TNA. We could think about a Taker/Joe battle, but it wasn’t going to happen. All of this changed when Samoa Joe strolled out on to the NXT stage at TakeOver: Unstoppable in June. What was unthinkable a few years prior was now a reality, and Samoa Joe was on WWE TV. Dream matches began to look like they could be reality. Samoa Joe vs. John Cena? Samoa Joe vs. Brock Lesnar? Samoa Joe vs. Undertaker? Whilst it is closer to being a reality now than ever before, with Taker likely to retire in the next year it might be another ‘what could have been’ battle. Still, it is pretty exciting to think about. Let’s be honest, you can put Cesaro into any vaguely positive list regarding professional wrestling. Simply put, the man formerly known as Antonio is one of the best in the world right now. Vince McMahon may not be willing to pull the trigger on the superstar, but the crowd has taken him to their hearts, and I’m not just talking about the Cesaro Section. A potential Cesaro/Undertaker match would steal any professional wrestling show on the planet. Cesaro has scary strength, and watching him manhandle the Deadman would be an absolute delight. Taker most likely wouldn’t be able to keep up with Cesaro’s speed of course, so the veteran would have to slow things down at every opportunity. It would be a clinic, to say the least. Who doesn’t want to see Undertaker swung round and round and round? They may have crossed paths in tag team matches previously, but if Undertaker had a few more years left in him then a meeting with WWE’s new chosen one would be an inevitability. Some fans may groan at the idea, but these are fans who haven’t really been paying attention to the development of Roman Reigns. When he is kept away from long monologues on the microphone, Roman Reigns has had a truly stellar year in 2015. His evolution in the ring continues and he is far from the finished product, but he is more than worthy of his spot in the upper echelons of the card. A Roman Reigns vs. Undertaker match would be big money for WWE in the future. Staying with The Shield theme, Seth Rollins is another integral part of the WWE’s present and future. In fact, I would go so far as to say that Rollins is going to be the company’s next huge babyface. Of course, he needs to repair his leg first, but when he returns the stage is set for him to take his spot as the beloved hero of the WWE Universe. He proved himself as a great heel over the past year too, and it is in that role that he would most likely come up against the Deadman. Whilst the WWE has had something of a fetish with putting Taker up against the giants, it is against the smaller opponents that his best matches have come. Seth Rollins is in that bracket of performers who could have a good match with anyone and everyone. Undertaker has had great matches with the right opponents, and Rollins would definitely fall in that group. Kevin Owens may be one of the top heels in the World Wrestling Entertainment at the moment, but he also happens to be one of the most endearing characters in the sport today. Not many wrestlers seem as natural and relaxed in the ring and on the microphone, and a lot of this comes from Owens’ position as a self confessed mega fan of professional wrestling. This match would be an absolute delight to see from the point of view of a fan, because of Owens’ love of wrestling. We are all professional wrestling fans, and as such can only imagine the sheer unbridled joy of getting to step in the ring with people you grew up watching. The match itself would be great, as Owens is also one of the best between the ropes today. More importantly, how wonderful would Owens’s son’s reaction on video be? Throughout the career of the Undertaker, two things have been abundantly clear; if you are a big man or a character involved in anything vaguely supernatural, you were going to lock horns with Big Evil eventually. Now, Finn Balor certainly wouldn’t be described as a ‘big man’, but he is definitely involved in the vaguely supernatural. The Demon Balor against the Undertaker would be a completely unique type of match for the Deadman. As mentioned with Seth Rollins, Undertaker has had great matches against top quality smaller wrestlers and Balor fits that bill. He also has the character chops to add some mental fascination to the picture. If nothing else, the match would be worth it for the entrances alone. If ever there was a WrestleMania worthy battle of entrances, Finn Balor vs. The Undertaker would be just that. Who else? This is the most likely of the eight matches to happen, but with Sting’s injury status unclear it is getting less and less likely all the time. As it stands, it seems that the WWE is (rightfully) leaning towards Undertaker vs. John Cena at WrestleMania XXXII, meaning The Phenom vs. The Icon may never happen. This doesn’t sadden me too much, as seeing two 50+ year old men try to reclaim some lost magic doesn’t interest me a whole deal. This is a complete lie though of course, as even the most jaded of wrestling fans would turn into a childish fan once again if this match happened. It is a WrestleMania-worthy match to say the least, the last great WWE vs. WCW dream match. If we’re being honest, this is the match that should have happened at this year’s WrestleMania, instead of Triple H and Bray Wyatt providing the opposition. It may never happen, but this at least keeps it atop the dream match list for years to come.